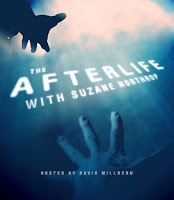 “The Afterlife”, which Suzane co-hosts with David Millbern presents a series of séances for the gay & lesbian audience. This is an exceptional opportunity for members of the LGBT community to experience a real séance. Whether you’re a believer or a skeptic, we’ve all wondered about the afterlife & what may await in the beyond. This is an opportunity to answer a few of those questions. In our interview Suzane discusses her belief in a higher power & that life is a series of relationships. She emphasizes that we should address our relationship conflicts with the living while we can because they do not go away & it is lot harder working them out later. Many of us do not work out our problems for various reasons & are left with grief, guilt, or anger when the other person passes over. Ms. Northrop's positive encouragement for the future is to learn from challenging times like September 11th as we move forward in this difficult era. 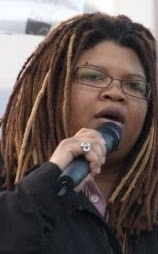 Selisse Berry is founding Executive Director of Out & Equal Workplace Advocates, the nation's only national nonprofit organization specifically dedicated to creating safe & equitable workplaces for LGBT people. President Obama states on the White House Website that he "supports the Employment Non-Discrimination Act & believes that our anti-discrimination employment laws should be expanded to include sexual orientation & gender identity." Right now the only protections our LGBT community has is state by state. 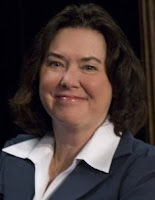 In this audio interview Selisse addresses the necessity, challenges & virtues of coming out @ work. Out & Equal Workplace Advocates provides solutions to create safe & equitable workplaces for LGBT people by educating companies & strengthening successful organizations that value all employees, customers & communities. This is accomplished through forums & the annual Out & Equal Workplace Summit that draws over 2500 in attendance globally. 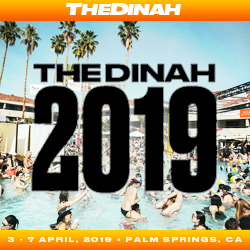 The next event is March 18-20 @ the Hilton San Francisco Financial District. This is the second annual LGBT Executive Forum which will be a unique opportunity for out & successful executive leaders from a variety of industries to learn together & share their best practices. The leading conversations will include the relevance of LGBT inclusion in a challenging economy & the imperative to resolve LGBT inclusion for global companies. 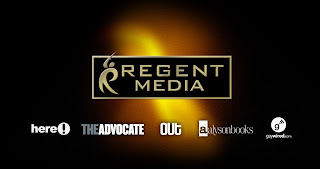 Regent Media Thrives on Gay Issues…. Recently their parent company Regent Entertainment won the Best Foreign Film Academy Award for “Departures.”…:) We discussed Sean Penn & Dustin Lance Black Oscar wins for “Milk.” BTW, their moving acceptance speeches & any references to “Milk” & our LGBT community were edited from the Broadcast in India. In America our presence on Primetime Television has increased, but after 2 more episodes, Showtime's “the L word” will end eliminating any shows left on mainstream TV based on LGBT characters. 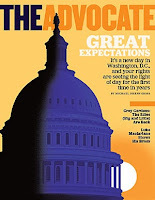 The most powerful way to achieve equality for our LGBT community in this country is through an effective marketing campaign & our presence in the media. It’s time to connect the dots. Be brave, come OUT & move our country forward…..